It doesn’t matter if it’s your first interview or your 100th – you are going to be hesitant about candidates. To help you along, you need to have a plan for your interviews. Winging it is not a plan. I have done over the a thousand interviews and I still use a sheet with set questions for the positions – Always! 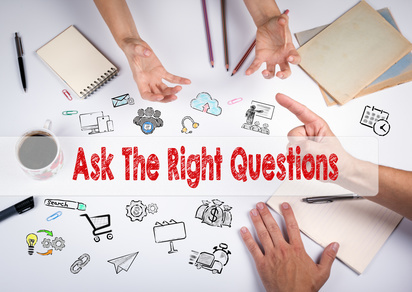 So how do you figure out what you should ask candidates? Review what you need, here are some categories to get you started. Skills. Every position has a set of skills that are needed. Review the job description for what’s needed and ask about their knowledge/experience on the skill needed. Make sure you are clear on how much of the skill they need. For example: is basic excel enough or do you need someone who can do pivot tables? Also know which skills you can be flexible on and would be willing to teach. Soft Skills. These can be a little harder. Determine which soft skills are necessary and ask questions about how they have demonstrated the skills in the past. Leadership, coaching, customer service, etc. Values. Companies have values and you want people who share those values. Ask them questions which demonstrate your values. For example, if one of your values is integrity, ask how they show integrity in a difficult situation. What else is important to you to know? Determine it now before you start interviewing. Then find the right questions to get your answers. Remember, you need to make sure you give them a chance to ask questions and be honest in your response. Interviews are a two-way process, each of you are evaluating the other for fit.